Sir Paul McCartney claims during a new TV interview that Yoko Ono was not responsible for splitting up The Beatles. “She certainly didn’t break the group up,” tells Paul McCartney, 70, to Sir David Frost in an interview to be broadcast next month. 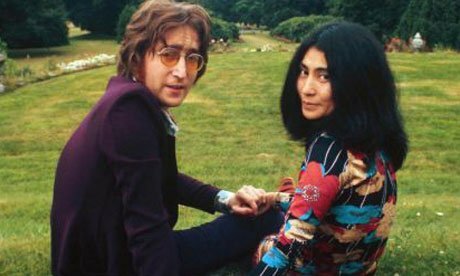 “I don’t think you can blame her for anything,” he says, claiming John Lennon was “definitely going to leave”. His remarks challenge a school of thought that holds John Lennon’s widow responsible for the band’s separation. Paul McCartney’s revelations feature in an hour-long interview with David Frost, 73, that will be aired on the Al Jazeera English TV channel in November. The programme will also see the former Beatle claim that John Lennon, who died in 1980, would not have written his hit song Imagine without the conceptual artist’s influence. “When Yoko came along, part of her attraction was her avantgarde side, her view of things,” Paul McCartney tells the veteran broadcaster. According to The Observer, the interview will see Paul McCartney muse on losing his mother at the age of 14 and the death of his first wife Linda in 1998. The musician also discusses being a father and a grandfather, which he describes as “my coolest thing”. Both Paul McCartney and John Lennon went on to forge successful solo careers after the Fab Four split up in 1970. Earlier this month saw the 50th anniversary of The Beatles releasing their first single, Love Me Do, in 1962.